Sometimes it seems there are simply not enough hours in the day. Not with all of the responsibilities of keeping our homes, making meals, and homeschooling our children. And let’s not forget all the other things. But guess what? There will never be more than 24 hours in a day. What is the answer then? It’s to become a more productive homeschool mom. 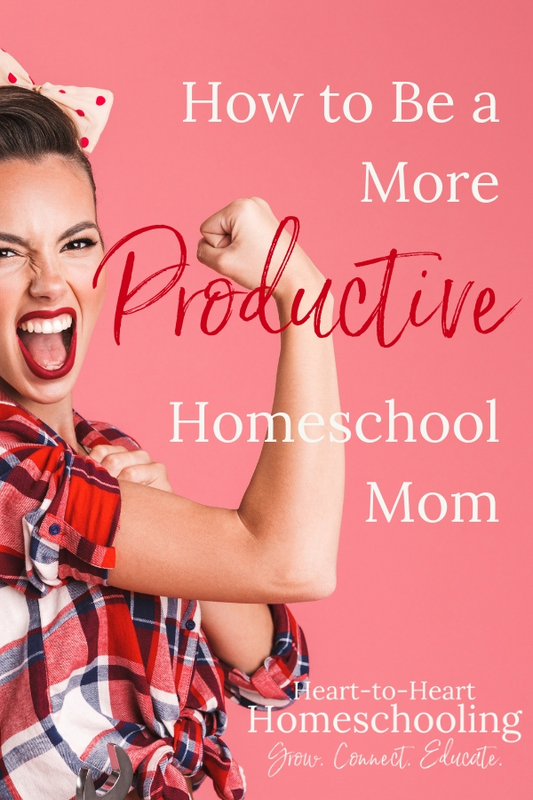 Being a productive homeschool mom isn’t about cramming your schedule full of things to get done. It isn’t about perfection, or running around like a crazy woman. It doesn’t mean snapping at your kids when things don’t go as planned or being grumpy because your husband “messes up” up your day. Productivity isn’t about what you add. And it is definitely not about doing more than your neighbor or friend. Yes, instead of being stressed, a productive homeschool mom uses the time she has wisely. She does what God has called her to, not what He has called someone else to. Productivity is about focus. 1. Start juggling instead of balancing. You’ve often heard people talk about finding balance. Well, Dear Mom, I’m not sure it actually exists. That is probably why we feel like we are chasing it. If you think of balance as a tightrope walker, you’ll get the idea. There is a constant pull one way or the other, and so constant corrections need to be made to find that balance. So maybe it is time to stop trying to walk the tightrope and introduce the juggling act instead. Somer Phoebus of She Works HIS Way shared this way of looking at it in a productivity course I took from her. She calls it juggling, not balancing. Why? Because jugglers give their full attention to the ball in the air. Yes, they have many balls to juggle, but they don’t try to give their attention to all the balls at the same time. Imagine you are jogging one morning (I have to imagine because that simply isn’t going to happen here.) You are fully where you are, getting the exercise you need. But then you get a text from your daughter saying she woke up sick and needs you. What do you do? You go home. So you let the “jogging ball” drop and put your daughter in the air. You give her your full attention. Juggling means being fully present with one thing at a time. But you do have to decide on what balls you will be juggling. And that means you might have to make some trades. 2. Decide on your trades. I was listening to Kim Anderson of Just Keep Blogging talk about the idea of trades in one of her podcasts. Trades are all about deciding what you are going to exchange in order to make time for something you want to do, because we simply can’t do all the things, all the time. Some moms might be willing to trade a perfectly clean house for time to read with their children daily, while others would feel stressed and distracted if the house was messy. 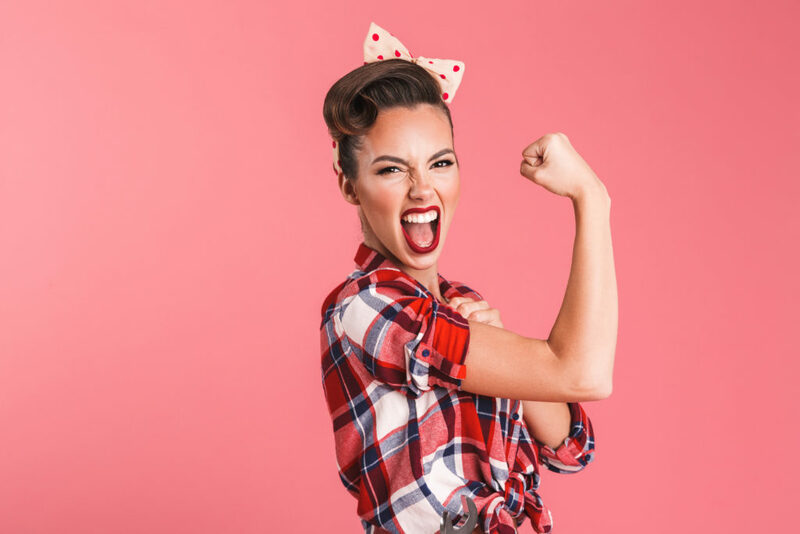 One mom might be happy to get up an hour earlier than her children to get some things done, while another might not function well if she got up earlier. What you have to ask is “What trades make sense for both my family and me?” And this might be a perfect topic for a family meeting. Talk about what you all want, what you can relax about a bit, and what you need from one another. Put your cell phone in another room, or at least on “Do Not Disturb” mode. Make a category for it that says “STOP! Is this a good time?” It will at least make you think before hopping on to Facebook for a “few minutes”. Don’t respond to texts or messages until you on a break or done with school. Sit together around the table together to do assignments if your kids tend to lose focus trying to do school in their rooms. Brainstorm ideas with your family about what your biggest distractions are, and then make a plan to get rid of them as much as possible. And then when a distraction does come up you can know it doesn’t have to derail your whole day. You can simply get back to work. 4. Learn to say no to the good to save room for the best. Imagine this opportunity as an amazingly attractive but fast-moving river. There is so much that looks extremely appealing about this river, you’re going to be tempted to jump right in. But once you are in the river, you have diminished your ability to make decisions. That river is moving so fast that it will take you where it is going. And if you haven’t carefully traced out in advance whether you want to go through and to the places that river flows, you’ll be in trouble. This can definitely be true of big life decisions, but it can be true for the smaller ones too. We will just add that one more activity. One more class. But before long we are on a fast moving river and it isn’t going where we had planned on going. Think about how much time we spend looking for things when we are disorganized. How distracting it can be from what we need to be doing. Do you have to have everything color coordinated with neatly printed labels on everything? No, but some level of organization is important whether it is your personality or not. 6. Schedule a regular planning time. When you read that, what kind of reaction did you have? But know it doesn’t have to be one extreme or the other. Planning does not mean you must schedule every lesson for the year in every subject. And it doesn’t mean you have to check off every box of a detailed plan. Box checking can be exhausting. That is not what I’m talking about. But set aside some time each week or every couple of weeks to think through what you are doing, assess where you are, and look where you are going. Having a plan, no matter how simple it is, will help you move in a forward direction. 7. Take time to evaluate. Are you nearing the end of your homeschool year? Or just beginning a new one? If you are (or hey, even if you are right in the middle of it! ), I want to encourage you to take some time to step back and evaluate. Check outEvaluating Your Homeschool with a View from the Top for some help! 8. Set a schedule or routine. A schedule is “a plan for carrying out a process or procedure, giving lists of intended events and times.” A routine is “a sequence of actions regularly followed.” I tend to think that schedules are for type A people, and routines are for the rest of us. 😉 But the truth is either can work for whatever type of person you are. And often it is us “other types” that might need schedules the most. Especially when trying for form a habit. Yes, there is truly something for everyone. But be sure to consider how both you and your children function the best, and if it is not the same decide how you can make compromises. Check out Could a Homeschool Routine be Just What You Need? from Homeschool Mastery Academy. Do you remember as a child how important “staying in the margins” was to so many of our Language Arts teachers? Why? Perhaps it is because the mind has trouble taking information in on a page when there is no white space. Your days and weeks have to have some white space. Then when unexpected things come up, you aren’t overwhelmed. You have space in your life for it. Sometimes you just need some accountability. For you that might mean sharing your desire to be more productive with a friend and then checking in with her each week. Maybe your husband is the perfect accountability partner. Or perhaps it is actually your kids who will be glad to “gently remind you” to stay on task. And if you don’t have anyone like that, feel free to join our Facebook group Encouragement for the Christian Homeschool Mom. You are always welcome to share with the group. Sometimes making a commitment publicly is just what is needed to help you follow through. 11. Take the time to rest. Yes, it seems counterintuitive. If we want to get more done, then don’t we need to work more? But that is not how you were designed, and it isn’t how your children were designed either. We all need regular rest to be our most productive. It is often in the quiet that we make connections, come up with creative ideas, solve a problem we have been working on—not necessarily because we are thinking about it, but because we are not. But not only that, rest is a part of taking care of ourselves. And as we all know, we have to fill our cups if we are going to be constantly pouring out of them. Know that productivity is not about doing more and more. Instead it is about using your time well, according to the season of life you are in. And most of all, it is being intentional to focus on what God has called you to do. This is a great article. Thank you for giving great practical advice and tools for implementing. Often times I read articles that have great points, but no application, and they can be very aggravating because your left asking how am I suppose to do this? Thanks so much! (And thanks for your help 😉) I’m so glad you found it to be practical. I’ve learned a lot from Somer who I mentioned in the article! Great info!! There’s quite a few that I’m currently doing and some…well let’s say needs improvement…lol! I definitely need to take more breaks and eliminate distractions!! I’ll be saving this post as a reminder to take a deep breath and evaluate!! Thanks for the info…much needed right about now!! Thanks Sharla! I wrote it partly because I need the reminder too! oh that ability to say NO is just so important isn’t it? Such a great article. You have very practical advice. I often forget to leave margins and to say no. Before I know it, I’m overwhelmed because we took on too much. Thanks for sharing your advice. It definitely gives me somethings to re-evaluate. You’re so welcome! I have to remind myself to do the same thing!! !